The United Nations Secretary-General Antonio Guterres has emphasised that the 17 Sustainable Development Goals are the world’s blueprint for dignity, prosperity and a healthy planet. “Our world today enjoys remarkable opportunities to advance common progress. The 17 Sustainable Development Goals are our blueprint for dignity, prosperity and a healthy planet,” said the Secretary-General in his message to the first Covenant International Model United Nations (CIMUN) conference, read by the Director of the United Nations Information Centre (UNIC) for Nigeria, Mr Ronald Kayanja. These problems and challenges, according to him, are increasingly global – and increasingly grave. “We need less hatred, more dialogue and deeper international cooperation. 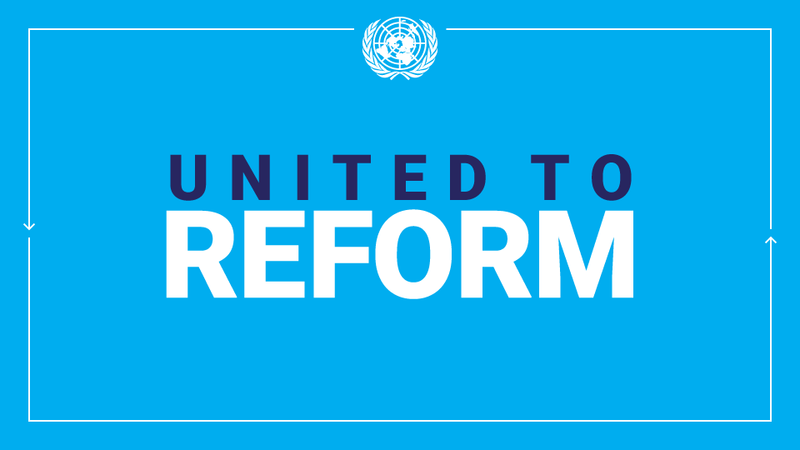 Multilateralism is more important than ever. Empowering the world’s young people is also an imperative.“ He added. Earlier in his opening remark, Mr Kayanja observed that “The achievement of Agenda 2030 and the Sustainable Development Goals (SDGs) requires innovative ideas. Therefore, there is no other time to discuss the theme, “Restructuring the Future Through Innovative Ideas” than now,” He added that in Model United Nations (MUN) conferences, delegates are the Ambassadors of their assigned countries to the UN. “Let your presentations reflect the reality of the countries you are representing.” He urged the delegates. The Vice Chancellor of Covenant University, Prof A.A.A. Atayero, in his keynote address presented by Prof Sheriff Folarin, noted that “It is only by innovative ideas that we can restructure, own and control the future.” He acknowledged that the United Nations has either redefined humanity or changed the world through sustained programmes, including the Universal Declaration of Human Rights, environmental development programmes and erstwhile Millennium Development Goals (MDGs), as well as its current Sustainable Development Goals (SDGs) and several other innovative programmes and initiatives. Of particular interest, according to the Vice Chancellor, is the trickle-down idea of simulated UN System through Model United Nations (MUN) which brings the vision, philosophy, goals and workings of the UN to the micro levels, which should solidify the UN’s reach and consolidate its gains. The Secretary General of CIMUN 2019 was Mr Andikara Honour Etiubon while Dr Oluyemi Fayomi of the Department of Political Science and International Relations, Covenant University Ota was the Faculty Advisor. This entry was posted in Uncategorized on January 22, 2019 by Oluseyi Soremekun. “I will respect your rights regardless of who you are. I will uphold your rights even if I disagree with you. When anyone’s human rights are denied, everyone’s rights are undermined, so I will stand up; I will raise my voice; I will take action; I will use my right to stand up for your rights.” This was the pledge taken by officers of different security agencies as part of activities marking International Human Rights Day and the 70th Anniversary of the Universal Declaration of Human Rights (UDHR), organized by United Nations Information Centre (UNIC) Lagos and the National Human Rights Commission (NHRC), South West Zone, on 10 December 2018. The officers drawn from the Nigerian Police, Nigerian Army, Immigration, Customs, Federal Road Safety Corps (FRSC), Nigeria Security and Civil Defence Corps (NSCDC) as well as the National Agency For The Prohibition Of Trafficking In Persons (NAPTIP) recited the Human Rights Pledge while the most senior officers signed the Human Rights Commitment Board. Welcoming the participants, the Director of UNIC Lagos, Mr Ronald Kayanja, informed that the UDHR was the most widely translated document in the world, a feat contributed to by UNIC Lagos through its translation of the UDHR to Fulfude, Hausa, Igbo, Ijaw, Idoma, Kanuri, Pidgin English and Yoruba languages. He later shared copies of the UDHR to all participants while each of the Security Agencies was also presented with a framed canvass poster of the UDHR. The Zonal Coordinator of the National Human Rights Commission (NHRC), South-West, Mr. Lucas Koyejo, advised the security agents to always respect citizens’ rights and remain professional in the discharge of their duties during the forthcoming elections in Nigeria. In another event, on the same day, to commemorate the Human Rights Day, UNIC in collaboration with White Technology hosted students from ten High schools for a Digital Arts Competition on the UDHR. This entry was posted in International Human Rights Day on December 18, 2018 by Oluseyi Soremekun. Traditional and religious leaders in West and Central Africa have moved to end child marriageand female genital mutilation and other harmful practices in the region. “Weagree to break our silence by condemning totally, and standing against any formof violence. We adopt zero tolerance to these modern forms of slavery, brutalcrimes and inhuman indignities on our women.” They declared after a four-daydialogue on ending child marriage and female genital mutilation and otherharmful practices, organised by UN Women on 4 – 7 December 2018 in Lagos. In a declaration jointly presented by the Emir Of Shonga, HRH Dr Haliru Yahaya and the Secretary General, National Alliance Of Traditional Authorities Of Congo (DRC), His Majesty Mfumu Difima (ROI KONGO), the traditional rulers committed to recognising 18 as the age of marriage and directing all customary courts to consider marriage below 18 as a crime and enforce such decisions. “We recommend that measures are initiated to blacklist the perpetrators, fight impunity in our communities and ensure access to justice, enforcement of the rule of law and punishment of perpetrators of this crime.” They added. In her opening remarks, the UN Women Regional Director, Dr Izeduwa Derex-Briggs, said the UN would continue to provide all the technical support needed to end child marriage and female genital mutilation in Africa. She urged the traditional rulers to make definite pronouncement against child marriage and female genital mutilation as their voice could end these harmful practices. Mr. Edward Kallon, the UN Resident Coordinator-Nigeria, in his address noted that Girls and Women across all African countries experience child marriage, female genital mutilation (FGM) and other harmful cultural practices. Some of the implications of these practices include lack of access to education and sexual/reproductive health, unemployment and death. He highlighted and commended the efforts of the UN Women, UNFPA and UNICEF in their investment towards #EndingChildMarriage in Africa, while encouraging traditional and religious leaders to remain committed in supporting the UN and other stakeholders in order to end the menace around the world. The UN InformationCentre (UNIC) Lagos provided communication support to the conference. This entry was posted in 16 Days of Activism against gender-based violence on December 18, 2018 by Oluseyi Soremekun. Leading Nigerian companies from the banking, energy, legal and consumer services sectors, among others, have joined forces with the United Nations, in support of the Government of Nigeria, to tackle the humanitarian crisis in the country’s north-east. The United Nations Nigeria Humanitarian Fund-Private Sector Initiative (NHF-PSI) was launched on Thursday in Lagos, marking the first time that the private sector is collaborating with the United Nations through a country-based fund that pools resources to deliver humanitarian aid to people in need. The crisis, triggered largely by the ongoing conflict in Borno, Adamawa and Yobe states, has claimed the lives of 27,000 people over the last decade. Today more than 7 million vulnerable women, men and children are in need of life-saving aid, such as food, safe water and medicine. “I am proud to be a part of this unique opportunity for the private and public sectors to collectively offer solutions to a local humanitarian crisis. The Nigeria Humanitarian Fund-Private Sector Initiative creates hope for our disadvantaged citizens and promotes social development for our dear nation,” said Adewale Tinubu, Group Chief Executive of Oando PLC, one of Africa’s largest integrated energy solutions providers. The initiative aims to not only harness the financial resources of Nigeria’s dynamic private sector, but also the entrepreneurial and innovative expertise of Africa’s largest economy, in a move that will see the country’s private sector working alongside the United Nations and Member States, and also international and Nigerian non-profit organisations who are working on the front lines of the response. “Together we – the private sector and the UN – can take meaningful and high-impact decisions and actions, merging our money and our minds, helping our countrymen, and building on progress made so far,” said Jim Ovia, Founder and pioneer Group MD/CEO of Zenith Bank. Fourteen companies and groups announced their support for the Nigeria Humanitarian Fund-Private Sector Initiative, and will join to form a Steering Group, the collaborative efforts of which will raise awareness and resources, while promoting innovative solutions, to support humanitarian action in the north-east. The Steering Group, Co-Chaired by Jim Ovia, Founder and Chairman of Zenith Bank Plc, and Kyari Bukar, of Nigeria Economic Summit Group, include Adewale Tinubu, Group Chief Executive of Oando Plc; Folake Ani-Mumuney, Group Head Marketing and Corporate Communications, First Bank of Nigeria Ltd; Olumide Akpata, Partner, Templars Law; Patrick Akinwuntan, Managing Director and CEO, Ecobank Nigeria Plc; Herbert Wigwe, Group Managing Director and CEO, Access Bank Plc; Yaw Nsarkoh, Executive Vice President for Nigeria and Ghana, Unilever Plc; Onyeche Tifase, Managing Director and CEO, Siemens Nigeria Ltd; Dr. Bryant (ABC) Orjiako, Seplat Petroleum Development Company Plc. Nominated members include Georgios Polymenakos, Managing Director, Nigerian Bottling Company Ltd and Country Manager, Coca Cola Hellenic Group; Kemi Okusanya, General Manager, Visa West Africa Ltd, Oscar Onyema, CEO, Nigerian Stock Exchange and Samaila D. Zubairu, President and CEO, Africa Finance Corporation. The event in Lagos was hosted and sponsored by Oando Plc, and additional sponsorship was provided by Flour Mills of Nigeria Plc, Access Bank Plc, Unilever Plc and Mr. Samaila Zubairu, President and CEO of the Africa Finance Corporation, enabling a strong start to this collaboration. This entry was posted in Uncategorized on November 25, 2018 by Oluseyi Soremekun. The UN Secretary-General Antonio Guterres, has urged leaders to do more for young people. “We must do more to enable young people to shape the decisions affecting their lives.” He said in a message to the 4th regular session of Abuja International Model United Nations (AIMUN) General Assembly attended by over 250 delegates. The Secretary-General acknowledged that young people’s potential is the world’s potential. “As you stand up for our shared values, the United Nations stands with you.” He added. Hosted by the Ministry of Foreign Affairs and co-organised by the UN Information Centre (UNIC) Lagos Nigeria, the University of Abuja and Nile University Abuja, the conference which opened on 5 November 2018, focused on the theme, “Winning the War Against Corruption: A Sustainable Path Africa’s Transformation”. The conference simulated the General Assembly and three of its standing committees; the Security Council and the International Court of Justice. In one of the resolutions, the conference urged member states to promote development and focus on the reduction of poverty and inequality, with increased spending on education and higher education being one component in the strategies to achieve this. Meanwhile, in strengthening the Model United Nations community in Nigeria, UNIC Lagos, in collaboration with Federal Capital Territory (FCT) Secondary Education Board and Abuja Int’l Model UN (AIMUN), on Tuesday, 6 November 2018, commenced the training of teachers as Model UN Faculty Advisors to coordinate organisation of Model UN simulation in FCT secondary schools. The UN Secretary-General Anotnio Guterres has acknowledged that young people’s potential is the world’s potential. Therefore, “We must do more to enable young people to shape the decisions affecting their lives.” He said in his message to the University of Lagos Model United Nations (LAGMUN) conference organised by the university in collaboration with the UN Information Centre (UNIC) Lagos. Held 13 – 15 August 2018, at the University of Lagos, the conference was attended by 230 delegates from 11 universities across the nation. In the message delivered by the Director of UNIC Lagos, Mr Ronald Kayanja, the Secretary General noted that the world needs less hatred, more dialogue and deeper international cooperation; and added that empowering the world’s young people is also an imperative. Earlier, Mr Kayanja congratulated the organising team of the conference and acknowledged the importance of the conference theme: ‘Innovation and Collective Action Towards Achieving the SDGs’. Speaking in the same vein, the keynote speaker, Prof Ademola Abass, in his paper titled, ‘Innovation and Collective Action Towards Achieving the SDGs’, advocated for collective action towards national development and urged the delegates to be involved in activities happening around them. “Success of the SDGs rests with all of us. Do not expect others to change the situation or change the world, you have got to change it yourself.” He added. This entry was posted in Uncategorized on August 16, 2018 by Oluseyi Soremekun. The United Nations Secretary General Antonio Guterres has emphasised that the world’s young people need safe spaces: public, civic, physical and digital spaces where they can freely express their views and pursue their dreams. He said this on the occasion of International Youth Day 2018 event organised by the UN Information Centre (UNIC) Lagos; United Nations Population Fund (UNFPA) and Strategy for Mentoring Initiative & Leadership Empowerment (S.M.I.L.E), on Saturday 11 August 2018, at University of Lagos Akoka Lagos. He acknowledged that the hopes of the world rest on young people; and emphasised that the United Nations is strongly committed to listening to the voices of young people and opening pathways for meaningful participation in decisions that affect them. The Senior Special Assistant to the President on Sustainable Development Goals (SDGs), Her Excellency, Princess Adejoke Orelope-Adefulire, in her goodwill message, noted that youth activism is on the rise world over, particularly via social media due to broader connectivity and accessibility, therefore, their needs must be attended to. It is in the light of this, according to her, that President Muhammadu Buhari demonstrated its support to youth participation in governance by signing into law the ‘Not Too Young To Run’ bill which is a landmark victory for Nigerian youth. Princess Orelope-Adefulire who was represented by Mr Gbenga Akinbayo, expressed her trust that activities of 2018 International Youth Day would complement efforts of the Federal Government in youth development. The Youth Day observance featured three discussion panels under the central theme: “Safe spaces for youth”. The first panel discussed ‘Safe spaces for youth online; the second panel discussed the sub-theme, Youth Involvement in the Civic Space‘; while the third panel discussed ‘Improving Youth Well-being’. He posited further that more people would lose their jobs while more jobs would be created. “Position yourself now and be prepared for the future.” He added. In her remarks, the Ms Jaiyeola Ayanbadejo of UNFPA, acknowledged that the hope of the world lies with young people of whom more than 400 million live amidst armed conflict or organized violence; and millions face deprivation, harassment, bullying and other infringements of their rights. She enjoined all to make the world safe for young people to make the world better for all. The President of S.M.I.L.E, Mrs Bimpe Bamgbose-Martins, in her closing remarks, called on governments, private sector, development partners, civil society organisations and other stakeholders to encourage youth innovation and creativity as a driver of national development. Addressing the press at the event, the Director of UNIC Lagos, Mr Ronald Kayanja, explained that the 2018 theme recognises that youth need safe spaces where they can come together, engage in activities related to their diverse needs and interests, participate in decision making processes and freely express themselves. The event was also attended by the South Africa’s Consul-General in Lagos, Mr Darkey Afrika. International Youth Day is marked on 12 August every year. This entry was posted in Uncategorized on August 13, 2018 by Oluseyi Soremekun. The UN system in Nigeria represented by UNICEF, UN Women, UNDP, UNFPA, UNESCO and UNIC, under the auspices of Spotlight Initiatives, on 2 – 3 August 2018, held a Youth engagement dialogue and a CSOs consultative session as part of the process in the development of Country Programmes Document for the Spotlight Initiatives to end violence against women and girls. The Spotlight Initiatives, a global development partnership framework of the United Nations and the European Union to eliminate all forms of violence against women and girls in support of the Agenda 2030 on Sustainable Development, is being coordinated in Nigeria by the UN Resident Coordinator’s Office. The Initiative is so named as it brings focused attention to this issue, moving it into the spotlight and placing it at the centre of efforts to achieve gender equality and women’s empowerment, in line with the 2030 Agenda for Sustainable Development. The youth interactive dialogue identified challenges many activists and NGOs face in the fight against violence. They included lack of security and funding, non-inclusion of people with disabilities during policy formulation, lack of information for people living in rural areas, poverty, cultural interference, lack of inclusion of gender equality in school curriculum and lack of media support. Recommendations at the end of the dialogue included establishing youth friendly spaces where youth can freely express their opinions; individual efforts to sensitize the society; as well as using products and services to advocate for an end to violence against women and girls. Providing guidance to the CSOs representatives for group discussions, Ms Patience Ekeoba of UN Women Nigeria, requested the CSOs to discuss in-depth and make presentations on the following: Organisations working on prevention of violence and harmful practices broadly; Organisations that work mainly on SGBV in education; Organisations that work on GBV services; Organisations that work mainly on data collection and researches; Women’s Rights Organisations working to promote women’s rights, address GBV and harmful practices as well as Minority Groups working to end GBV. The group presentations were insightful, revealing and interesting. This entry was posted in Gender-based violence on August 5, 2018 by Oluseyi Soremekun. ‘’Nelson Mandela showed what is possible for our world and within each one of us- if we believe, dream and work together for justice and humanity; a man of towering achievement who worked tirelessly for peace , equitable development and human dignity indeed one of the greatest leaders of our time. His life and work embodied the ideals of a democratic, free and equal society. It is therefore a day to reflect on the life and work of a legend who embodied the highest values of the United Nations’’ remarked the Director of the United Nations Information Centre (UNIC) Lagos, Mr. Ronald Kayanja in his address at the Lecture organised on Monday 16 July 2018, by United Nations Information Centre (UNIC) in collaboration with South Africa High Commission and Nigeria Institute for International Affairs (NIIA) as part of activities to mark the Nelson Mandela International Day (Centenary Celebration). Mr Darkey Africa, the Consular General of the South Africa High Commission in Lagos, speaking at the event highlighted his brief encounter with Nelson Mandela and stressed that the legacy of Nelson Mandela resonates beyond the shores of Africa. Nobel Laurette for Literature, Prof Wole Soyinka, recalled his personal encounter with Nelson Mandela describing him as an embodiment of humanism, service and leadership, humble, simple, unpretentious, determined and diligent. At a similar event organised on Wednesday, 18 July, 2018, by UNIC, United Nations Association of Nigeria (UNAN) and Freedom Park Lagos, participants did a mandatory 67 minutes community service which involved cleaning of the park. The Director of UNIC, Mr. Ronald Kayanja welcomed all guests and thanked UNAN for organizing the event in honour of Nelson Mandela. The South African Consulate General represented by Mr. Azwianewi Mbedzi in his address reminded all present about the meaningful contributions of Madiba to the world and that the objective of his commemoration is to inspire individuals to take action to help change the world for the better. Gen. Ishola Williams (rtd) the Chairman of the event, paid tribute to Nelson Mandela by highlighting some of his services to mankind. He urged everyone to continue to uphold the legacy of Mandela who is an embodiment of peace, integrity, human dignity and indeed a great man. Dr Babafemi Badejo the keynote speaker expressed his happiness about the fact that the whole world has set aside today to honor and recalibrate the life and achievements of Nelson Mandela. According to him, it is better to lead from behind and put others in front; however, good leaders take the front line when there is crisis. Mandela’s values included freedom, justice, diversity, equality, forgiveness, love and peace. The Director of Freedom Park, Ms Aboaba Iyabo paid tribute to Nelson Mandela; describing him as a man of integrity and called on African leaders to provide the kind of leadership Mandela displayed. Ambassador Ayo Olukanni, DG (NACCIMA), and other eminent personalities were present at the event. The celebration featured video clips, poems and a short drama on Mandela by students, and a cultural performance by Squad 1 Group. This entry was posted in Uncategorized on August 5, 2018 by Oluseyi Soremekun.